Midday arrival, pick up rental car and head south to the hot waterfall and emerald pool. Check out Premium Outlet Village and maybe also Big C. Check in to hotel in Krabi town centre and walk to the the weekend market for a street food dinner. By the way, the rental car cost only 1000 Baht (about S$40) per day, and there can be no other cheaper way to get around. Arrange for a private boat tour to Railay beach, Ko Poda and Ko Gai. I’m most interested to check out Talay Waek at Ko Gai. Just to make sure i will be able to catch this phenomenon, i checked the tide forecast timing. The low tide on the day of my visit happens at 4:49pm, which works very well for a late afternoon arrival at Ko Gai. I will probably try to get there before 4pm so that i can make it back to Aonang beach by 5pm and make my way to Lae Lay Grill for a sunset dinner. 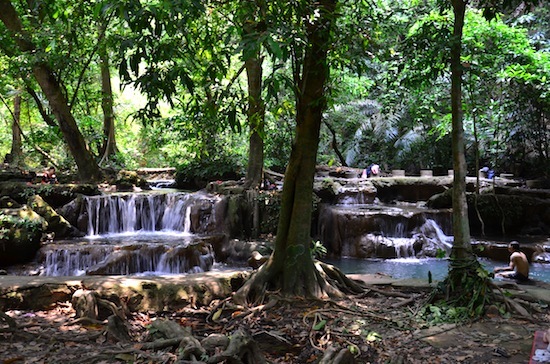 Visit Pa Phru Tha Pom Khlong Song Nam, followed by Than Bok Khorani National Park after lunch. Thereafter, a 2.5 hours drive to Phuket. 2.5 hours isn’t too bad compared to the 4 hours drive i often do from Singapore to KL. Though i’ll be staying at Patong area, i will be doing dinner in Phuket town since Patong is notorious for tourist traps. From reviews, Suay looks promising. Finally, before calling it a day, we would catch a glimpse of Bangla Road, maybe grab a quick drink. Probably not a good place to bring kids. By the way, if you’re serious about eating good and real Thai food, don’t do your research on TripAdvisor. The reviews are not written by locals. Surprisingly, and for the first time, I found Facebook to be a good place to search for food. The reviews are written by locals in Thai. Based the the score and photos, I could shortlist restaurants. Just use the search bar in Facebook, for example “restaurants in Krabi”, and you will find good food. Get my favourite trip souvenir (a haircut) from Jungceylon mall. Visit old Phuket town, namely around Thalang Road and do lunch around there as well. To be honest, Thalang Road looks very much like Malaysia, so i’m not expecting surprises here, but still, i presume one cannot claim to have been to Phuket without coming here, the historical centre of Phuket. 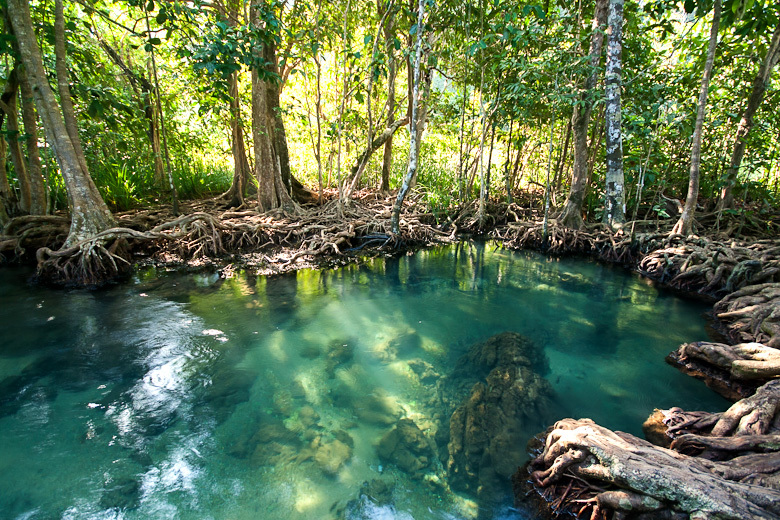 Thereafter, make the 3 hours trip back to Krabi, stopping at Phang Nga bay for a short visit. A popular choice for many tourists when they come to Krabi or Phuket is to visit Phi Phi Island. As we are not so much into beaches, i would give that a miss. See my trip report card here.